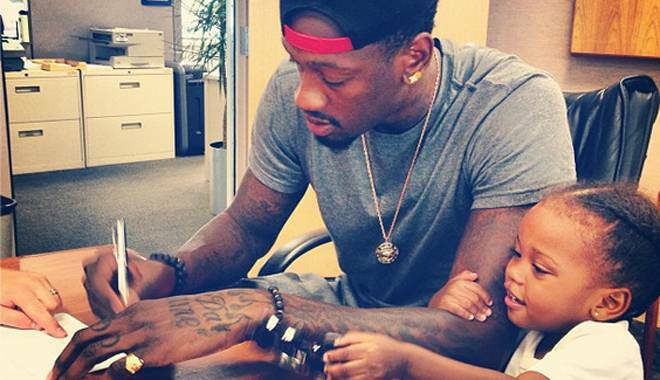 Milwaukee Buck center, and Port Pierce, FL native Larry Sanders has plenty of ink on his body, but this afternoon (8-20-13) he put ink worth a “pretty penny” on a 4 year extension. The contract extension will keep Larry in a Bucks uniform as they move forward and contend in the NBA Eastern Conference. 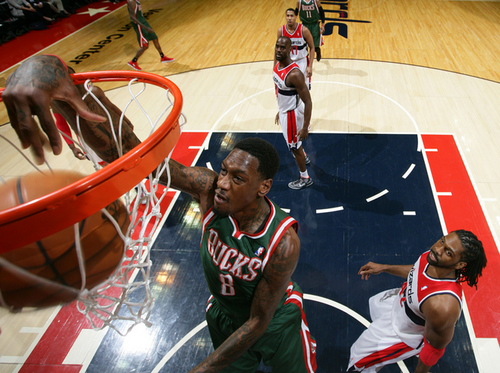 The former VCU Ram made $1.9 million last season, his third in the NBA, and was the #15 overall pick by the Bucks in 2010. Sanders put up promising numbers last season, some may say that they are not worthy of the $44 million dollar price tag, but his stock is definitely on the rise! 2012/13 seasons numbers, Sanders played in 71 of 82 games, started 55 while playing 1,937 minutes. In those minutes Larry shot just over 50% from the field (50.6%), 61% from the charity stripe, pulled down 672 rebounds, blocking an astounding 201 shots, all while dropping 696 pts. 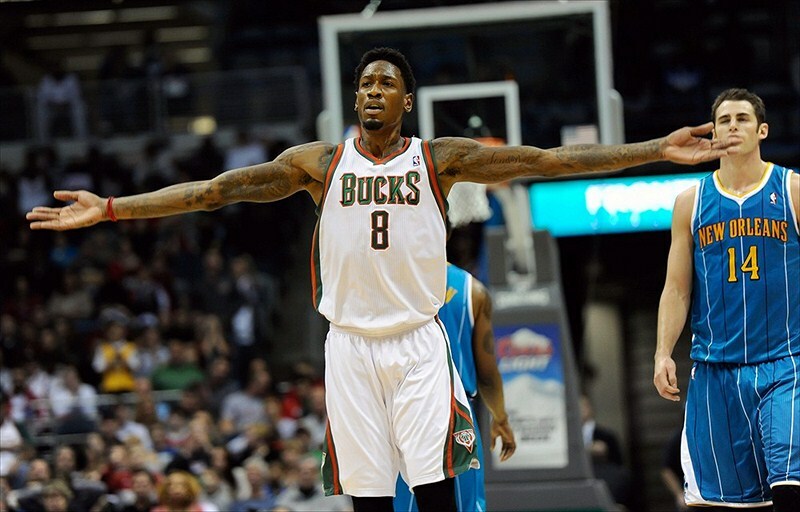 Sanders lit up the league with his shot blocking last season, during one stretch (11/28/12 – 3/4/13) he had 40 consecutive games with at least one blocked shot, and became only the 2nd Buck in the history of the franchise to have a 10 block game (11/30/12)…the other Buck was Hall of Famer Kareem Abdul Jabbar. Sanders also led the team in “double-doubles” with 26. #8 is a definite leader, that was proven during last years Playoffs vs Miami when during halftime of Game 3 he took charge in the locker room calling some players out for lack of effort, which almost led to blows between himself and Monta Ellis. Sanders speech was about playing together, and not worrying about next season or being selfish. Ellis felt as though Larry’s words were directed toward himself, and the ruckus began. Sander’s passion for the game was not just limited to the locker room last season, he also led the team in technical fouls. I agree with Hammonds 100%, and would rather have a good “up and coming player” who is extremely passionate about the game, than a great player who mails “IT” in because he can. Congratulations Larry on your contract extension, you deserve it. 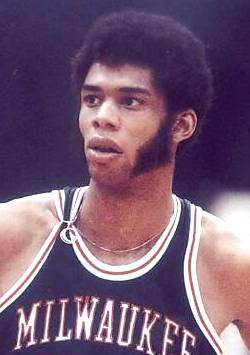 This entry was posted in Milwaukee Bucks, NBA, sports and tagged John Hammonds, Kareem Abdul-Jabbar, Larry Sanders, Milwaukee Bucks, NBA, VCU Rams. Bookmark the permalink. 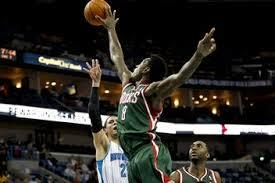 The Bucks have to change so mabe this is a start. I will enjoy Larry firing up the crowd for the next five seasons but one solid year doesn’t deserve a contract this big!